Come Chat with Us and Let’s Play! When: Beginning MONDAY March 18, 2013. What: Motivational Monday LIVE TWITTER CHAT; Summer Shape-Up! YES, YOU CAN! Yes, you can have fun and get in shape at the same time. Making your fitness fun means motivation sticks with you. When you’re motivated, every workout happens. This means exercise consistency is right on, and consistency is where results happen! Meet others who share your commitment to get in shape at Health Your Way Online. Our Motivational-Monday Live Twitter Chat’s are every Monday 5pm(pacific)/ 8pm(eastern) beginning next Monday March 18th. Our focus is to offer you Summer-Time Shape Up tips, accountability, support and FUN! So, come play with us! This 7-week Chat Series begins with co-host Jessica Matthews. Jessica is a health and fitness expert, @acefitness Exercise Physiologist, fitness blogger, yoga educator just to name a few. Follow her @fitexpertjess and get inspired to get fit by checking out her blog Fit for Life, http://community.weightwatchers.com/Blogs/UserBlog.aspx?blogid=1158298. Prepare to be motivated! We are proud to introduce the Sponsors of our Motivational Monday Summer-time Shape-Up Chats. Check them out and learn how they can help you realize all your health and fitness goals this summer! Obstacle Course Racing Magazine.If you love obstacle racing then this magazine is a must-have for you! They are the worlds first Obstacle Racing Magazine. You’ll find News, Interviews, Race and Gear reviews, Training Tips and an Event Calendar. Get all the latest in #OCR news with www.obstacleracingmagazine.com. Find them on Twitter @ObstacleMagUSA. Flip2BFit. Flip2BeFit simply put is your Fitness in a Box solution for incorporating fun and fitness into your daily life! Flip2BFit is more than just a board game, its fitness, nutrition, education and eye opening self-esteem building all realized through the spin of a wheel and the flip of a card! Order yours today for hours of family fun time. http://flip2bfit.com/ and check them out on Twitter @Flip2BFit. ENERGYbits®. This high protein, low calorie snack gives unlimited energy as it is 100% organic spirulina algae. Spirulina contains as much gram for gram of calcium as milk, as well as containing 5 times more iron than spinach. Read more about the many health benefits here, http://www.energybits.com. Be sure to follow them on Twitter @ENERGYbits for more tips. We are honored to announce that Brand Manager Jeff White will be joining us as Co-Host of this Chat! ViewSPORT. Because they recognize the power of sweat and hard work, they focus on motivating athletes. When athletes and fitness lovers wear our apparel and sweat, hidden motivational messages appear. Check out their products at www.viewsport.us. Motion Revealed with Sweat Activated Technology (SAT.) Find them on Twitter @ViewSPORT. LOCKLACES. Made for competition, Lock Laces are the only patented performance lacing system engineered to meet the demands of endurance athletes like runners, triathletes, and marathoners. Unlike other products, Lock Laces sustain simple compression across the top of the foot increasing the amount of oxygen available to the muscles to help manage fatigue. Take a look for yourself at www.locklaces.com. Follow them on Twitter @LOCKLACES . Getting fit takes time, so why not have FUN while you’re doing it? Prevent the age related decline in muscle mass through strength training. 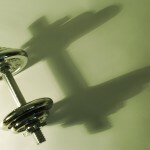 If you are inexperienced, incorporate weight training with a personal trainer to insure proper form and to avoid injury. Strength training will increase muscle mass and boost metabolic rate. By boosting your metabolic rate, you will also be burning more calories at rest or sleeping. 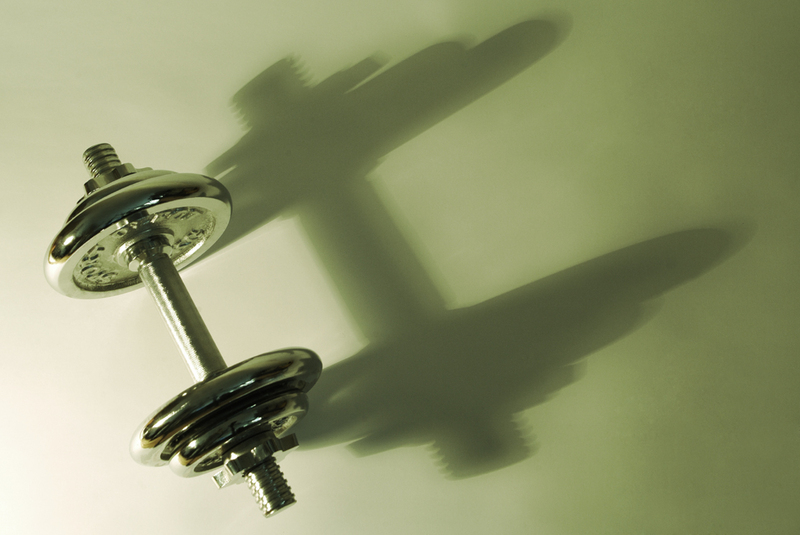 Incorporating strength training 2-3 times per week is ideal. Interval training is the most efficient type of aerobic training. It is a short burst of a high intensity exercise followed by a longer period of a lower intensity exercise. Interval training forces your body to use more oxygen and burn more calories. The increase use of oxygen will also boost detoxification in your body. Combine interval training with your 2-3 strength workouts per week. Start by jogging or cycling for 5 minutes at a 50% effort. Run or cycle for 60 seconds at about 90% of your all out effort. Finish the steps by slowing down to 60% effort for 90 seconds. Repeat Step 2 and 3 –5 times then finish with a 5 minute cool down at a 50% effort rate. Flexibility training is often overlooked in one’s exercise program, but integrating it will help improve your overall performance. A great way to add flexibility training to your program is to incorporate an hour of yoga a week into your exercise routine. This will help your body remain flexible and agile. Staying flexible will reduce your potential for injury. 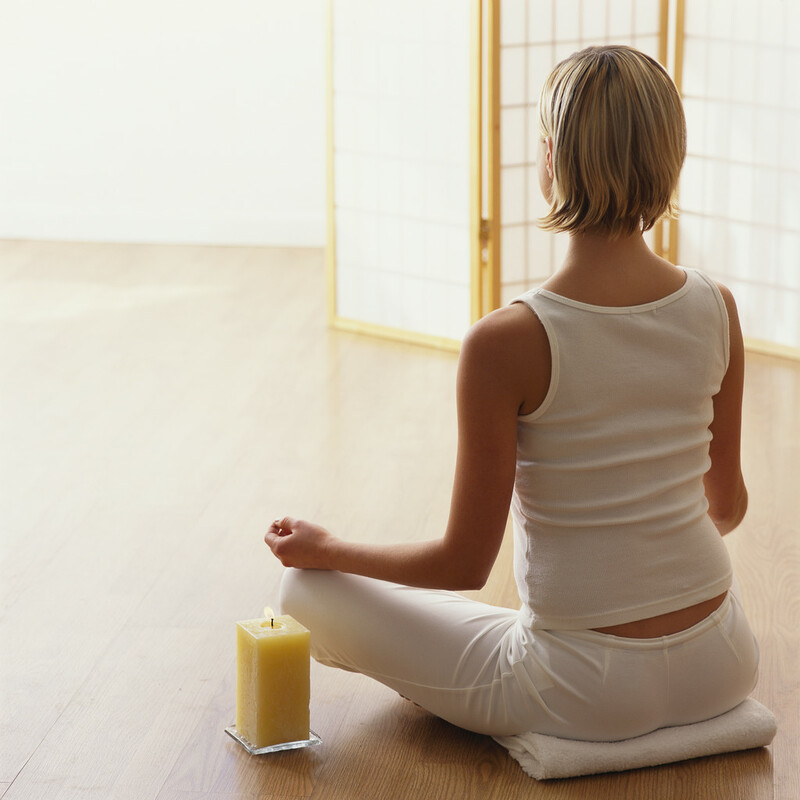 Yoga is also great for reducing stress and boosting relaxation. Incorporate those 3 steps into your workout routine to keep looking and feeling young! Be sure to obtain medical clearance before beginning any exercise program. Written by Daphne Haddock / Nutrition and Yoga coach with www.PersonalPepper.Com. Got 12 minutes? 3 Simple Strategies for Stress-Free Surrender! Busy day at work? Hectic holiday season? A growing to-do list? Whatever the reason might be, in this fast-paced world it’s not uncommon to find ourselves feeling stressed from time to time, especially as the end of the year draws near. These three simple strategies for stress relief, which when done together take just 12 minutes to complete, can help you to truly relax and unwind at the end of a long day. Yogic breathwork in child’s pose (Ujjayi Pranayama in Balasana)- Numerous scientific studies have shown that pranayama, the practice of breath control, helps to increase relaxation, decrease feelings of anxiety, improve mental focus and enhance overall psychological well-being. Ujjayi breathing, a type of pranayama in which inhalation and exhalations are done through the nose, is a breath that is both relaxing and energizing. This diaphragmatic breath has been shown to increase oxygen consumption, as it is designed to be both a long and smooth breath in which air is guided gently in and out of the body through the nose without force, creating a soothing sound, almost like the sound of distance ocean waves. Pair this breath with child’s pose, a resting posture that helps to release tension in the back while also relieving fatigue and stress, and spend about two minutes quieting the mind and steading the breath while enjoying a few moments of surrender. Legs up the wall pose (Viparita Karani)- Borrowing from restorative yoga, this posture helps to release tension from the lower extremities and reduce swelling in the legs and feet while also calming the mind and decreasing feelings of anxiety and stress. With your legs extended up the wall, use folded blankets or a bolster to help support the lower back as you come to stillness for five blissful minutes. Seated meditation (Mantra Visualization in Anjali Mudra)- Clearing your mind after a long day can seem like quite the challenge, especially if you’re new to meditation, but by practicing anjali mudra, a comfortable seated posture in which the palms are pressed together at heart center with both thumbs lightly touching the sternum and the head slightly bowed forward, in time entering that meditative state of awareness will start to become much easier. Couple this stress-relieving asana with a mantra visualization in which you select a word or phrase that you repeat silently to yourself, allowing it’s meaning to radiate through your body, and in just five quiet contemplative minutes it can help you to quiet your mind and truly become grounded, present and fully attuned in the here in now. Hatha- This term, which can encompasses a variety of physical types of yoga, is typically reflective of gentle, slower-paced yoga classes which are great for beginners as well as for those seeking a solid, foundational understanding of basic yoga postures (asanas) and breathing techniques (pranayama) to help reduce stress. Ashtanga- Sometimes referred to as “power yoga,” this physically demanding practice is a great option for those looking for a more serious physical challenge, as it is devised of six series of asanas which increase in difficulty. Bikram- Also commonly referred to as “hot yoga” (although not all hot yoga classes are Bikram classes), this practice is comprised of a set sequence of 26 asanas that are performed in a heated room. Bikram classes are typically 90-minutes in length, and because of this it’s important to keep hydration in mind, as it takes time for the body to acclimate to exercising in heat. Iyengar- This style of yoga focuses on bodily alignment, and encourages the use of props to facilitate precise body position within each pose. Emphasis is placed on holding the postures longer (for several breaths) as opposed to quickly flowing from one posture to another, making it a suitable option to accommodate those with any special needs, such as previous injuries or structural imbalances. Jessica Matthews, MS, E-RYT, is an exercise physiologist, yoga teacher, group fitness instructor, personal trainer, adjunct professor, blogger and fitness personality. Jessica strives to open minds, ignite passion and inspire the world to health and fitness through purposeful movement, quality nutrition and kind words. She has been featured as a fitness expert on CNN and has been quoted in numerous publications including Shape, Self, Oxygen and Oprah.com. For more health and fitness information, follow Jessica at www.twitter.com/fitexpertjess. GET RELIEF FROM SORE MUSCLES NOW! This article is sponsored by ELANVEDA. http://elanveda.com/essential-oils/muscle-and-joint.php. ELANVEDA Muscle & Joint Relief is a must for every fitness enthusiast. If you logged a heavy weight-lifting workout, reached a new max on your cardio or posted your personal best race-performance, don’t miss this opportunity to treat your body well! This all-natural blend of essential oils is specifically created to relieve the joint discomfort and muscle soreness that comes with exercise, fatigue or injury. Enter HYWON2 to redeem your 10% discount through 9/30/12. ELANVEDA simply provides the best alternative medicine for everyday ailments. They boast ALL NATURAL herbs and essential oils suitable for all family members! Find their entire product line here, www.elanveda.com. Email via info@elanveda.com or call them directly, 310.570.9535. Relief from your sore and achy muscles is only ONE CLICK AWAY. Why wouldn’t you try it? You have nothing to lose, except your muscle aches! Yoga has been practiced for thousands of years, so one would assume it must provide some great benefits, right? Well over the last decade as the interest and demand for mind-body programming has continued to increase, so has the number of research studies conducted to examine the specific benefits that yoga has to offer. Studies have shown that regular yoga practice can improve muscular strength and endurance, flexibility and balance, which are often overlooked aspects of fitness. Yoga has also been shown to decrease the risk factors for chronic diseases, such as diabetes mellitus and cardiovascular disease, and also is effective in reducing chronic low-back pain, an issue which will affect nearly 80% of Americans at some point during our lifetimes. In addition to the numerous physiological benefits, yoga also provides an assortment of emotional and psychology benefits. Yoga by definition means “union,” in essence the connection between body, mind and spirit. 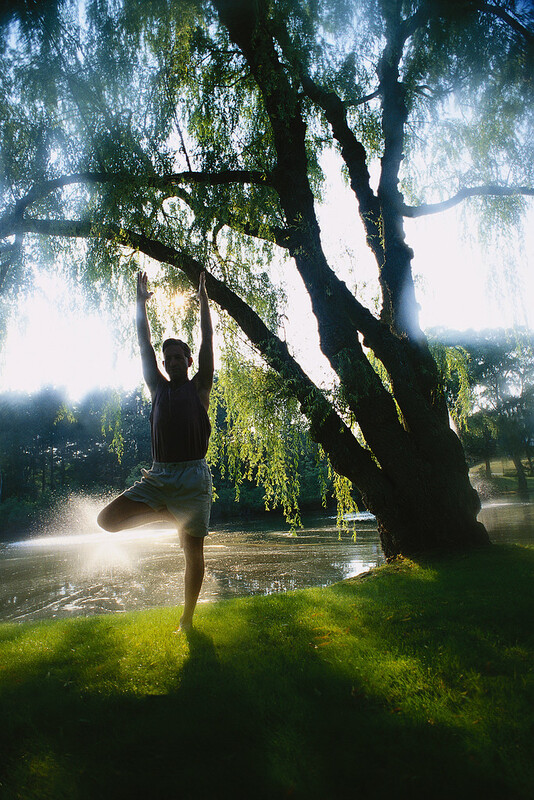 Yoga has been shown to reduce stress, promote relaxation, improve mood, and increase subjective well-being. Available research also indicates that stress-related diseases, such as hypertension, pain, cardiovascular disease, and depression are beneficially affected by regular participation in mindful exercise, such as yoga. Can yoga do it all? While the research regarding the physical benefits of yoga is in impressive, it is important to note that yoga was traditionally not designed to be a “one-stop shop” in regards to fitness. Research has supported this notion by studying and identifying the lack of aerobic activity that yoga provides. A study sponsored by the American Council on Exercise (ACE®), conducted by Poraci and Spilde at the University of Wisconsin-LaCrosse, showed that that a 50-minute Hatha yoga practice provides no substantial aerobic benefit, as the number of calories subjects burned was comparable to that of a slow walk. Vinyasa-style or Asthanga yoga (often referred to as “power yoga”) on the other hand was shown to provide a mild aerobic workout, as a 50-minute practice burned 344 calories on average among participants. These findings are not intended to deter individuals from integrating yoga into their current fitness program by any means. Instead, these findings help to shift the focus back to the numerous valuable benefits that yoga was intended to and does provide, which often times are the critical components that individual fitness routines are lacking. This article is written by Jessica Matthews, MS, E-RYT, is an exercise physiologist, yoga teacher, group fitness instructor, personal trainer, adjunct professor, blogger and fitness personality. Jessica strives to open minds, ignite passion and inspire the world to health and fitness through purposeful movement, quality nutrition and kind words. She has been featured as a fitness expert on CNN and has been quoted in numerous publications including Shape, Self, Oxygen and Oprah.com. For more health and fitness information, follow Jessica at www.twitter.com/fitexpertjess.